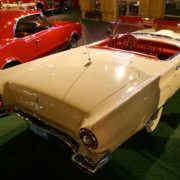 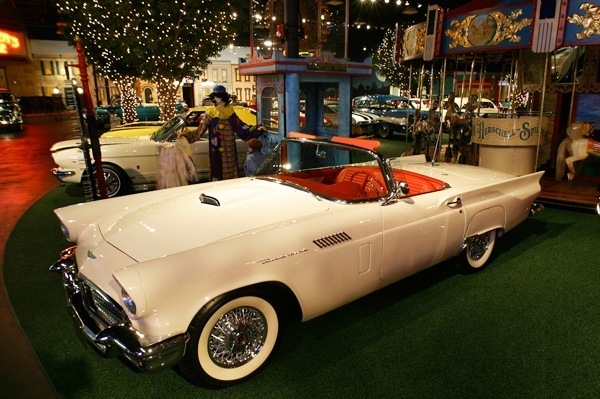 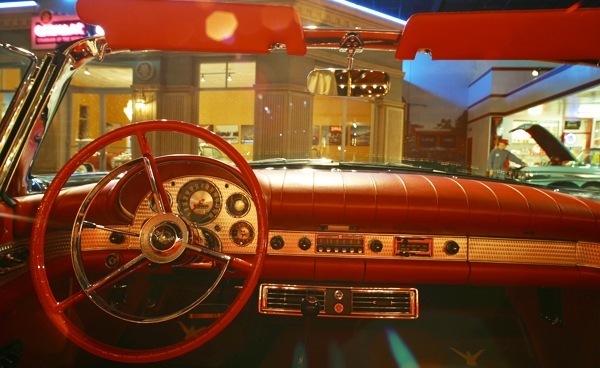 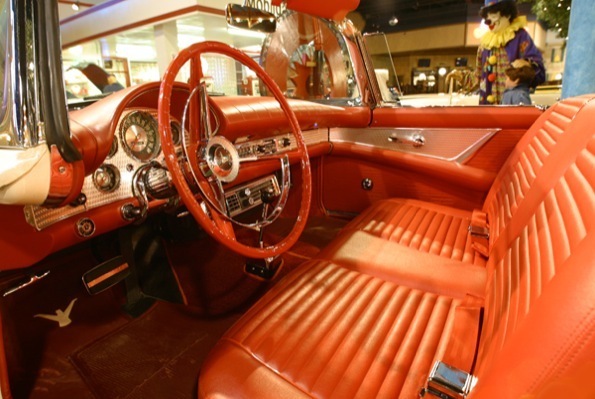 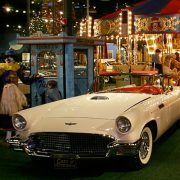 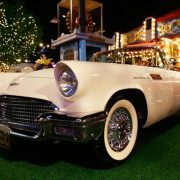 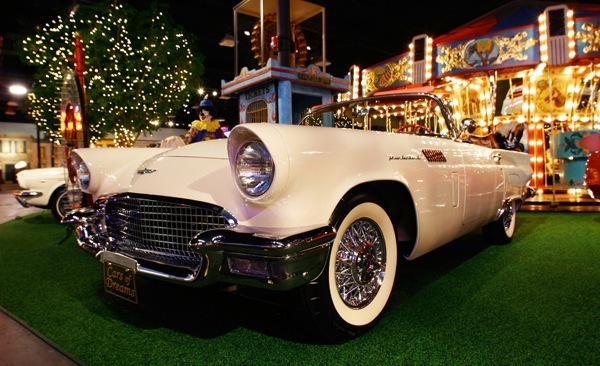 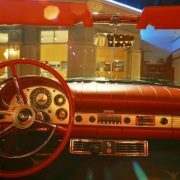 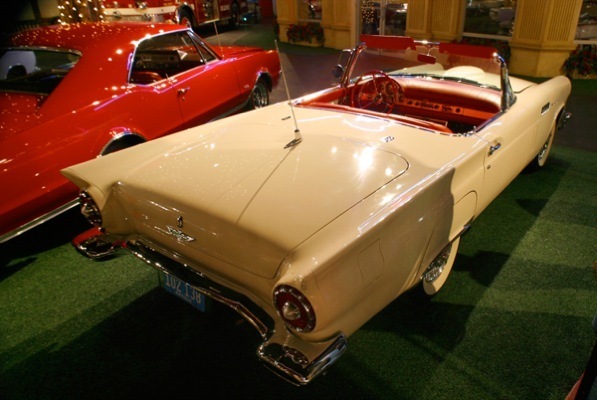 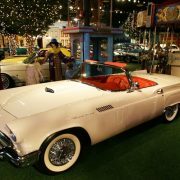 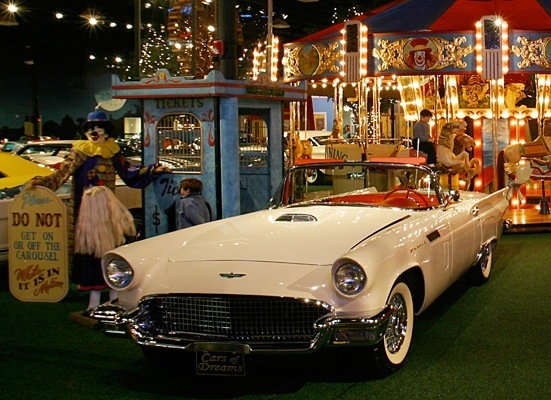 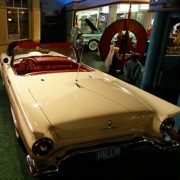 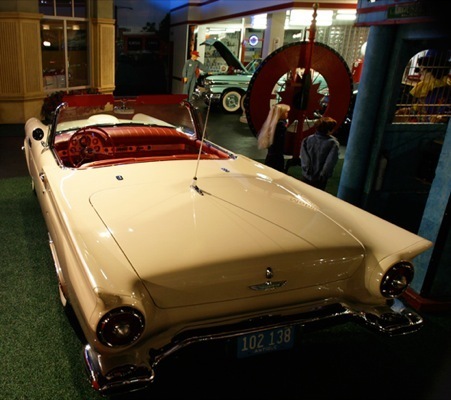 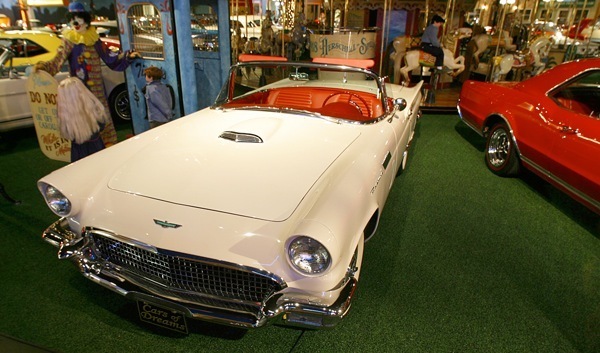 As standard, the 1955 Ford Thunderbird included a removable fiberglass top; a fabric convertible top was an option, although commonly specified. 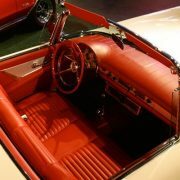 The engine was a 292 Y-block V8. 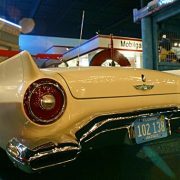 The car had fender skirts. 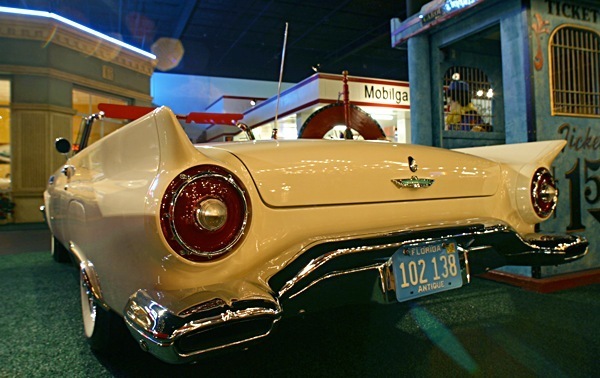 The exhaust pipes exited through twin bumper guards, which are bolted to the rear bumper. 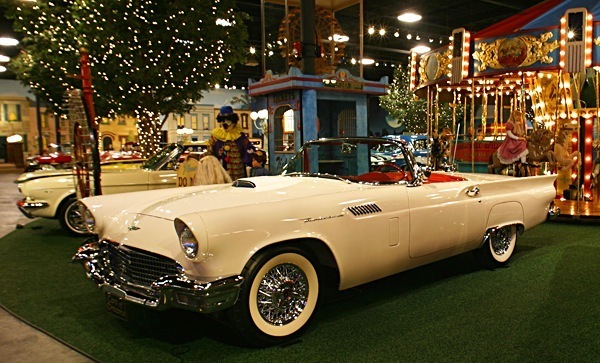 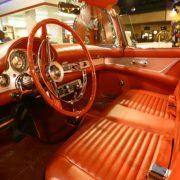 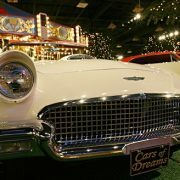 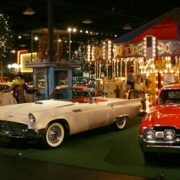 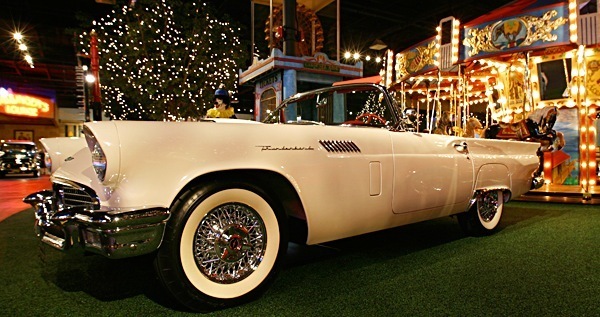 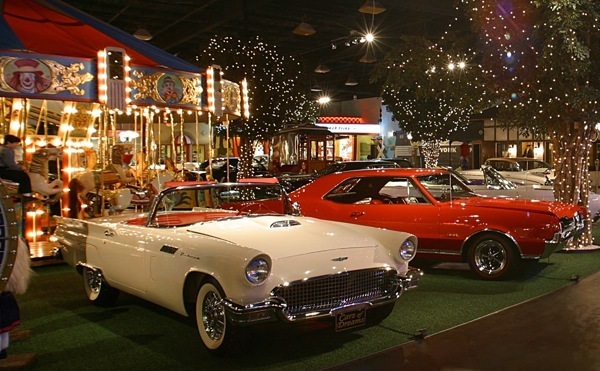 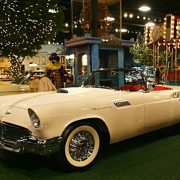 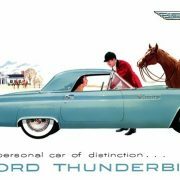 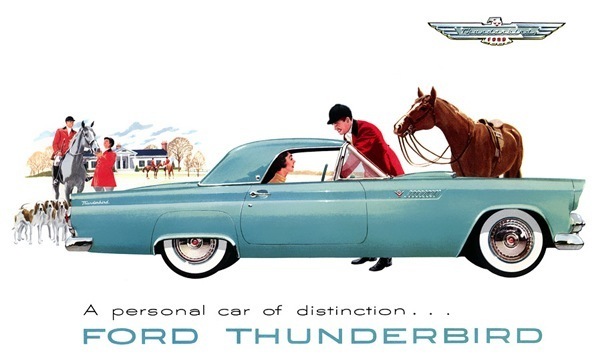 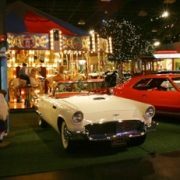 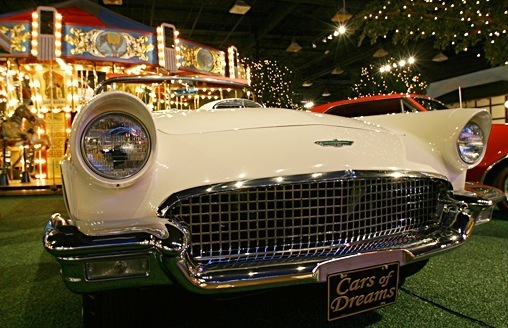 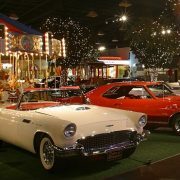 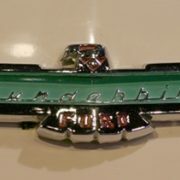 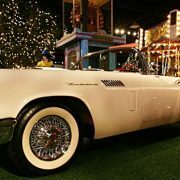 Created to act as a retort to the Chevrolet Corvette, it was also the first mass produced edition of all the Ford Thunderbird models. 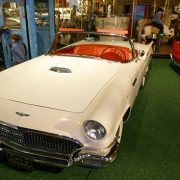 Exactly 53,166 models were produced. 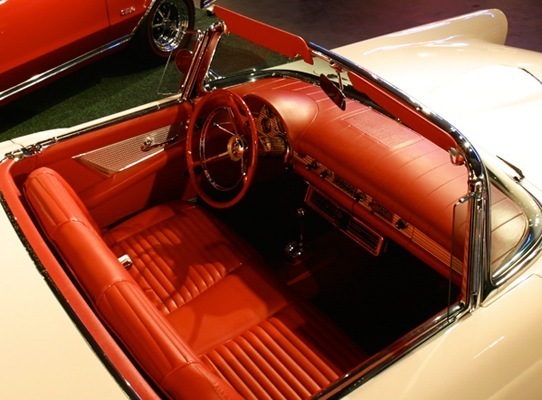 It was produced with a Fordomatic or Overdrive transmissions, and featured four-way powered seats and pushbutton interior door handles.